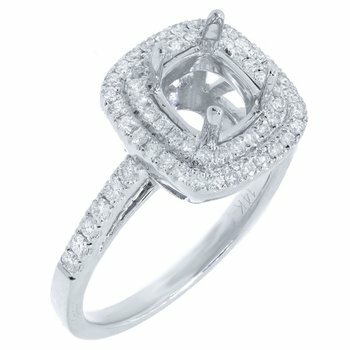 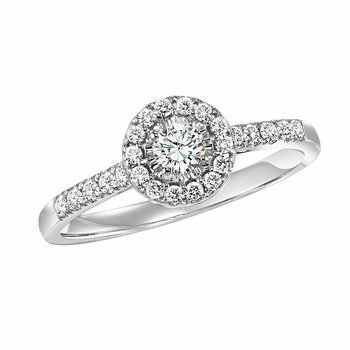 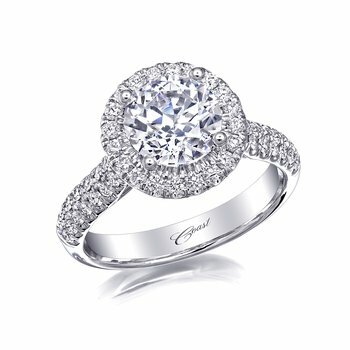 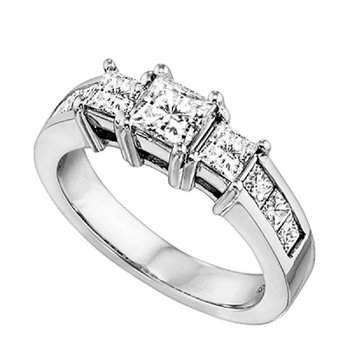 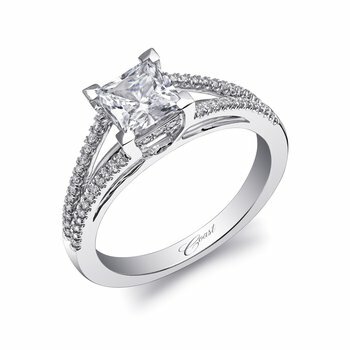 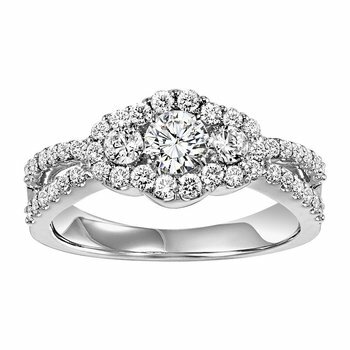 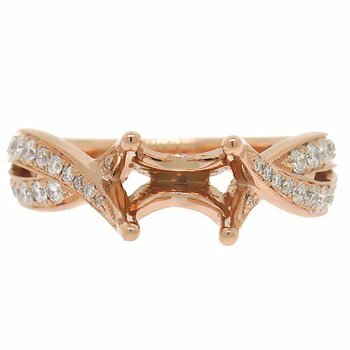 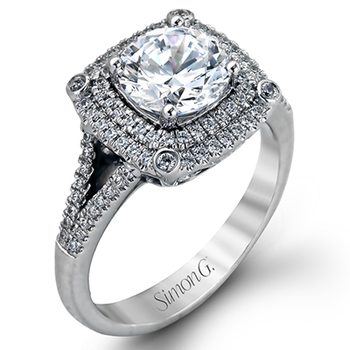 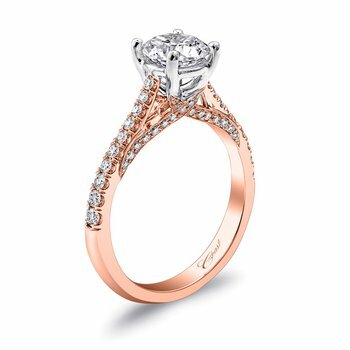 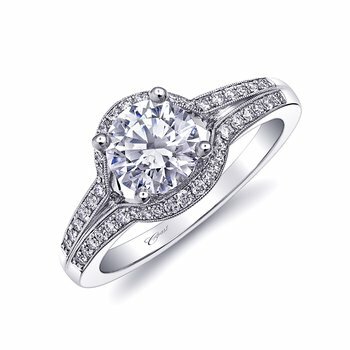 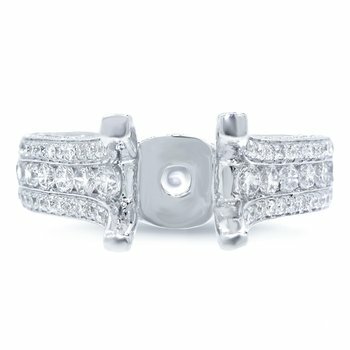 Say those magical words to your love with this scintillating lovebright diamond engagement ring. 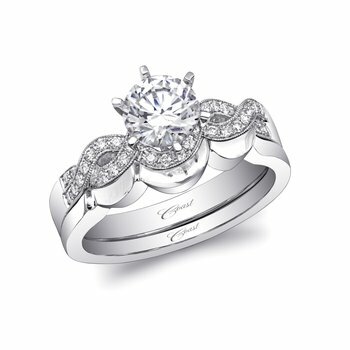 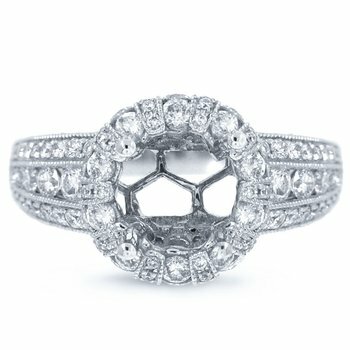 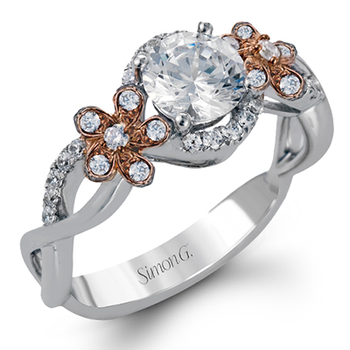 Styled in 14 karat shining white gold this ring showcases invisible set round cut diamond at the centre haloed by 8 round cut invisible set diamonds, surrounded by a circular frame and shank with 29 pave set round cut diamonds in swirl design. 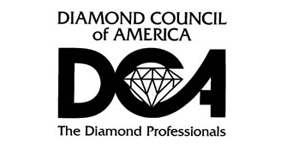 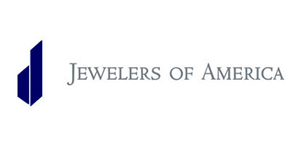 Total diamond weight is 3/8 ctw.